Mr. Jonas is the Founder and Chairman of IDT Corporation (NYSE: IDT), Genie Energy (NYSE: GNE), and IDW Media (OTC: IDWM). He was also the Founder and controlling shareholder of Straight Path Communications, Inc (NYSE: STRP), which was acquired by Verizon for $3.1 Billion. Mr. Jonas has extensive leadership experience in founding and growing public companies, and has sold multiple businesses in deals worth both hundreds of millions and billions of dollars. Dr. Sommadossi is the Principal Founder, Chairman, and CEO of Atea Pharmaceuticals. He is also the Principal Founder of Idenix Pharmaceuticals, Inc. and a Co-Founder of Pharmasset, Inc., both of which had successful multi-billion dollar exits. Dr. Axel is a molecular neurobiologist and University Professor in the Departments of Neuroscience, Biochemistry and Molecular Biophysics, and of Pathology at Columbia University, an Investigator in the Howard Hughes Medical Institute, and a Co-Director of the Mortimer B. Zuckerman Mind Brain Behavior Institute. In 2004, Dr. Axel won the Nobel Prize in Physiology or Medicine. Mr. Drillick is the Chief Financial Officer for Eastern Properties. He is responsible for all financial aspects of the company including financial reporting, construction, and permanent financing. Prior to joining Eastern Properties, Mr. Drillick was a manager at the Federal Reserve Bank of New York, responsible for the Bank’s capital and operating budgets. He has a Bachelors degree from Brooklyn College and a Masters degree from the New York University School of Engineering and Science. Mr. Luther is the President and Chief Executive Officer of Rafael Pharmaceuticals.  Under Mr. Luther’s leadership, Rafael has made significant progress on multiple facets including strategy, clinical development, pipeline and corporate development. Prior to joining Rafael, Mr. Luther was with Mallinckrodt Pharmaceuticals which was spun out of Covidien, GE Healthcare, Bausch and Lomb, Novartis and Bristol-Myers Squibb. Mr. Luther also serves as Chairman of the Board of LipoMedix, an early stage oncology focused drug delivery company. Dr. Scheller is the Chief Science Officer of Google-backed 23andMe. He is the former Head of Genentech Research and Early Development (2009-2014), a member of Genentech’s original scientific team which synthesized Somatostatin, and a former member of the Roche Corporate Executive Committee. Dr. Scheller was previously a professor at Stanford University Medical Center (1982-2001), and an Investigator at the Howard Hughes Medical Institute. In 2013, Dr. Scheller won the Lasker Award. Dr. Shorr is the Co-Founder and Chief Scientific Officer of Rafael Pharmaceuticals. He has a 40-year track record in drug discovery from concept through approval and market launch. Dr. Shorr has previously served as VP of Science and Technology at Enzon Pharma, VP of Science and Technology and Chief Scientist at United Therapeutics, and Associate Director of Molecular Pharmacology at SmithKline Beecham. At Enzon, Dr. Shorr was responsible for co-development with Schering-Plough of the blockbuster drug, PEG INTRON A, for the treatment of hepatitis and certain forms of melanoma. Mr. Stern is the Founder and CEO of Eastern Properties, a commercial and residential real estate company located in Cranbury, NJ. He is well known for his commitment and involvement in education as well as other philanthropic causes. Mr. Wilmerding is the Co-Founder of Althea Partners LLC, which consults with and invests in early stage companies. Althea Partners led the Series B-4 preferred investment round in Rafael (known as Cornerstone Pharmaceuticals, Inc. at the time). Prior to co-founding Althea Partners, Mr. Wilmerding was a Co-Founder and Director of the Narragansett Bay and Pawtucket Insurance Companies. He also currently serves as a Director of Irresistible Materials Ltd., a next generation nano materials company.